The William Kerr House is a great example of the Carpenter Gothic Style. It was built by the Irish born architect Willam Kerr as his personal home in 1875. Located at 410 Simonton Street, between Fleming and Southard Streets, this home shows off this unique style of architecture. William Kerr was born in 1836, educated in Boston and then moved to Key West in 1872. 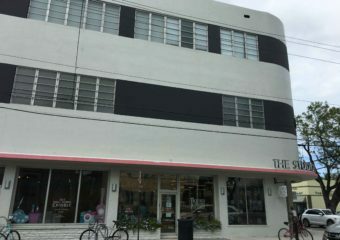 His impact can be seen on many buildings around Key West. 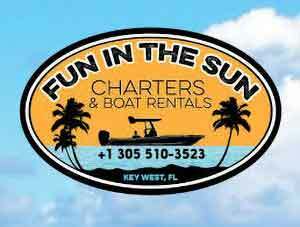 Such as the Covent of Mary Immaculate, the Key West Post Office, and the Custom House. The Carpenter Gothic style home is a style that usually applies to North American light frame construction. Often these types of buildings are built by house carpenters. This unique style gives carpenters the ability to express their artistic freedom. They can improvise and enhance the charm and quaintness of an otherwise plain and simple wooden building. What gave these carpenters the ability to enhance these structures was the mass-produced wood moldings that were just becoming available at that time. These allowed builders to add Gothic inspired embellishments to their projects at a relatively low cost. Carpenter Gothic was most popular in the latter half of the 19th Century and was typically used in homes and small churches. 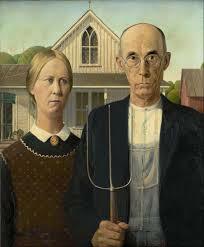 The best-known example is the painting, American Gothic. Artist, Grand Wood has a perfect example in the background of the painting. This style is also sometimes referred to as Rural Gothic. It uses wood, instead of stone, pointed arches, steep gables, and towers. The William Kerr home shows off a lot of these elements. An interesting fact is when the home was going through a renovation, they found Kerr’s ink draftsman’s pen in the floorboards. 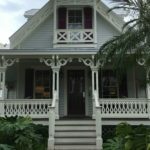 What’s interesting about the architecture around Key West is the uniqueness of the homes. 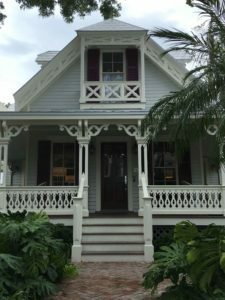 Each has a story to tell and I hope you wander through Key West and look for these amazing homes and their stories.